Information technology is a big part of who we are - Dennis, Ryan and Mike Baggott. Dennis (the dad) has been working in the IT field for many years - ok, more than 20 years. In addition to working as a network administrator, server administrator, database manager and project manager "the Dad" has been developing software since the sons were small children. In addition to Niche and Custom Application Development, Dennis has often served as a consultant. In recent years he is in demand for his expertise in Information Security. Contact Dennis by clicking here. Some of my IT Certifications. Always learning. I enjoy living in a small town in Georgia. My wife, Sherry and I have lived in the same house for almost 20 years and raised our two sons here. 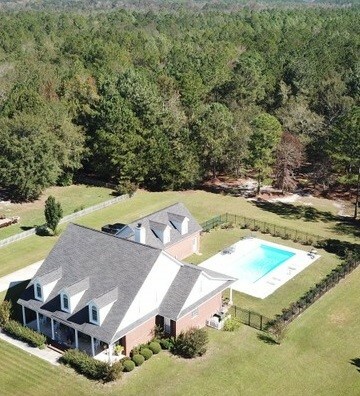 Our house sits on just over 2 acres with a lot of woods behind the house. 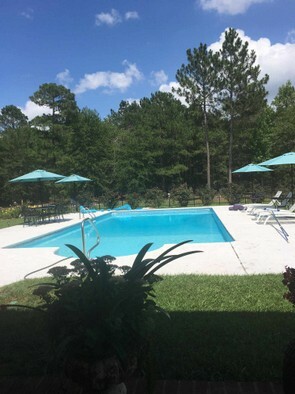 A few years ago we added an inground pool and enjoy relaxing by the pool in the summer. Just a couple of our web sites/programs. Ryan has been working for several years in Social Media and photography and digital media. He started developing web sites several years ago and developed quite a portfolio with a lot of satisfied customers in Florida, South Carolina and Georgia. Ryan is only available for infrequent assignments. He and his wife Hannah live in Bluffton, South Carolina with their two dogs, Capone and Savannah. 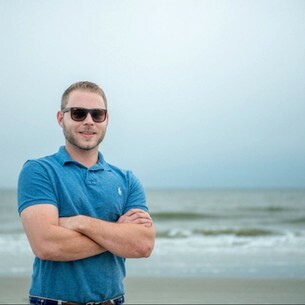 Mike recently completed his Associates Degree in Information Technology (with Honors by the way) and is continuing working towards his Bachelor's degree in IT. I am anxious to see Mike continue to develop his skills in the Information Technology field. He has had some exposure to variety of areas in IT and always eager to learn about the different aspects of Information Technology.